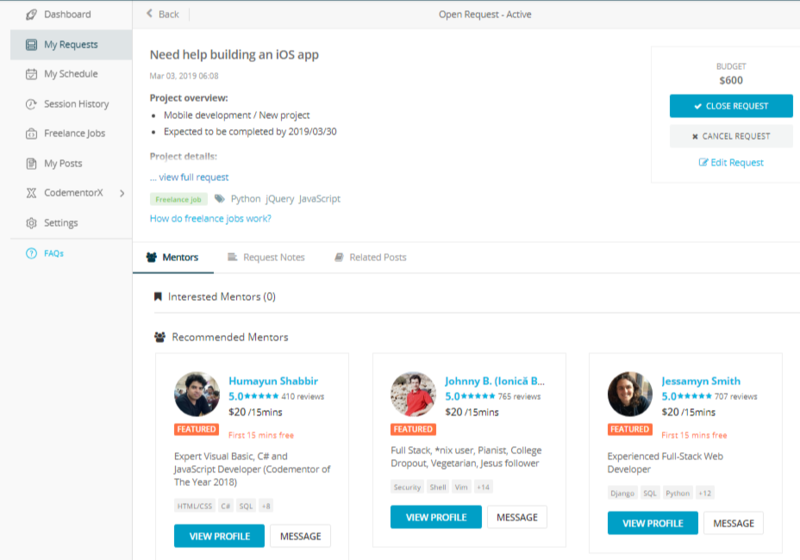 Codementor Support - How do I hire for freelance jobs? 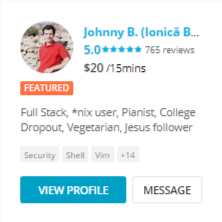 All Categories ​>​ I&apos;m a User ​>​ Getting Help ​>​ Hire a Mentor for a Freelance Job ​>​ How do I hire for freelance jobs? 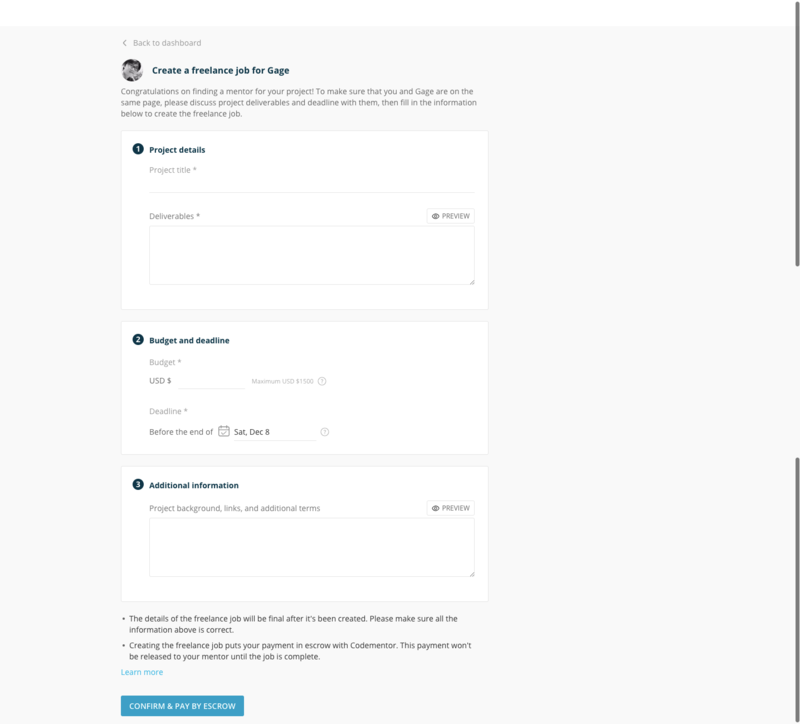 After posting a freelance job request, you can access it under My Requests from your Dashboard. You'll see recommended mentors below your request details. You can wait for mentors to reach out or browse through interested and recommended mentors. If you've found a mentor that you think fits your need, you can message the mentor to discuss more details of your request. 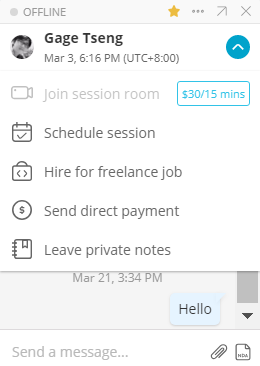 If you would like to hire the mentor after the discussion, click on "Hire for freelance job" button from the chat window drop down menu (blue button). To make sure both you and the mentor are on the same page when it comes to your freelance job, we encourage you to fill out the freelance job request form in as much detail as possible. The form includes a section outlining the "Project details" such as the project's title and deliverables. The second section allows you to specify your budget and desired deadline. And the third section asks for any additional information you would like your mentor to know about for your project. You can track the progress of your freelance job in the "Freelance Jobs" tab, which is accessible from your Dashboard. How do I suspend the payment for freelance jobs?